45. SARGSYAN (Vahan) - Hayots greri tsagume: Nerkin verakangnum. THE ORIGIN OF THE ARMENIAN ALPHABET (an internal reconstruction). 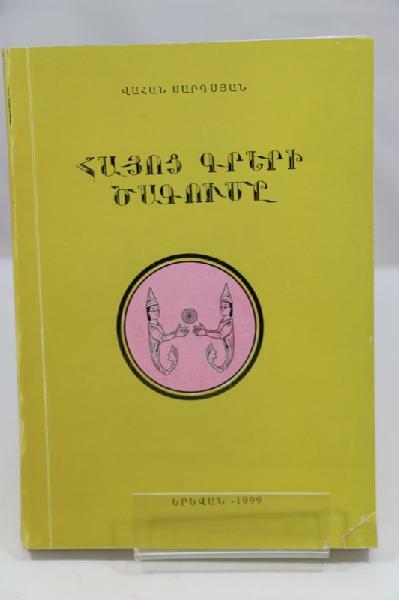 Erevan Yerevan University Press 1999. In-8 softcover 335p. text in armeniann many ill. in-text in b&w. Isbn : 5808402816A little piece of cover less good condition.